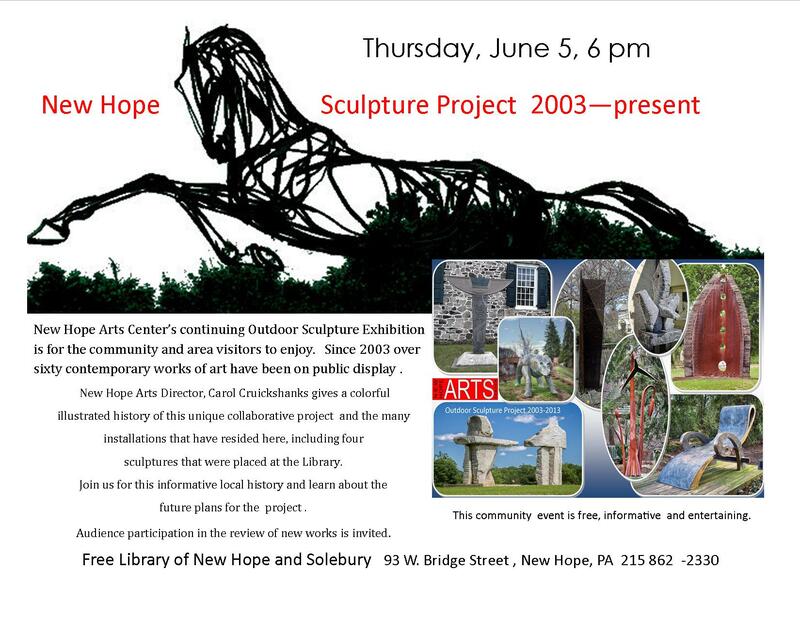 New Hope Arts Center celebrates the 10th Anniversary of Outdoor Sculpture with an initiative to refresh and renew the installations. 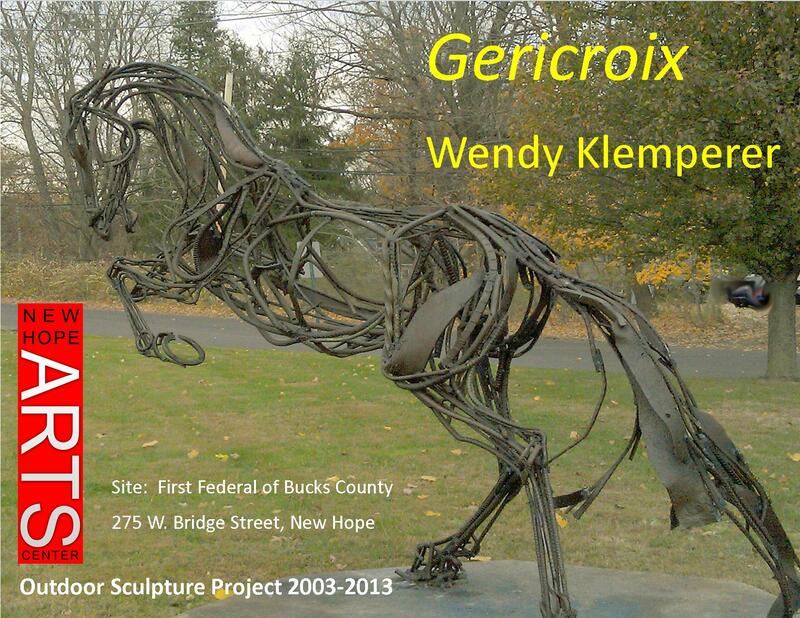 Saturday, November 9th the latest addition by Brooklyn artist, Wendy Klemperer, a life size rearing horse titled Gericroix, was welded and secured in place at the First Federal of Bucks County, 275 W. Bridge Street. Klemperer is internationally known for her steel constructions with animal themes. First Federal specifically requested another Klemperer work to replace the popular galloping horses on their lawn site in 2011. Another previous installation by the artist was her River Elk at Ingham Creek in 2009. The horse is among eight sculptures remaining in situ in the Borough through the generosity of the artists and the support of individuals and businesses. The works are professionally maintained by sculptors Wendy and Harry Gordon who have been adviser for the project since its beginning. Since 2003, over sixty contemporary works of art have been on public display throughout New Hope. The 10th anniversary marks an ideal time for appreciating and rediscovering this long-standing contribution to the Borough landscape. All sculptures are available for sale. The initiative to refresh and renew the outdoor installations will include an outdoor sculpture competition for Spring 2014.